Support a new show where kids learn to play the ukulele this Melbourne Fringe! Support for this project means supporting the next generation of music-makers. This September, at Gasworks Arts Park in Albert Park, Woody’s World is celebrating music with the creation of The Ukulele Kids Show where the entire audience learns and plays the ukulele together! Finally music is demystified and everyone is given the tools and know-how to unleash their own creativity through music. 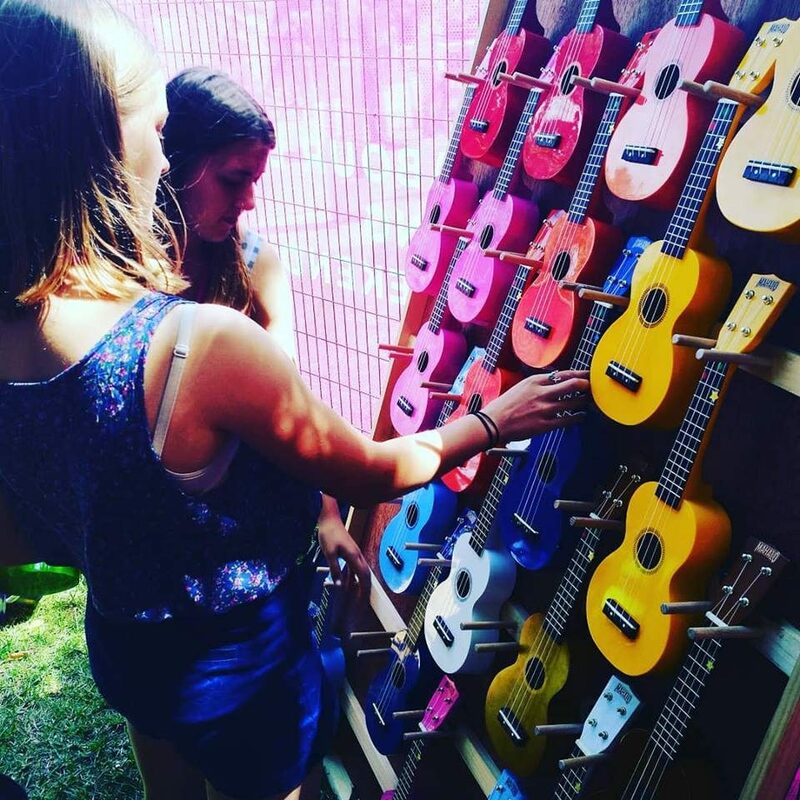 Bring your own ukulele or borrow one from the Woody’s World ‘uke wall’ and join in the fun! Follow the story of Jasmina, a shy young girl at school in need of the tools to express herself through music. Together with expert ukuleleist Woody Clark, his cheeky friend Hercules the Cat, (and of course an orchestra of ukuleles provided by an audience of budding young musicians! ), Jasmina unlocks her musical potential proving that artistic expression is for everyone and with the right tools and know-how, the language of music can be accessed by everyone. Woody and the team are passionate about seeing young people learn how to express themselves through music and this show will be a great vehicle for teaching music in a fun and innovative way. Support for this project means supporting the next generation of music-makers, and the artists who are passionate about guiding them. Funding will mean Woody can secure the best people and resources to create a show which will be taken throughout Victoria and Australia, spreading the musical joy far and wide! 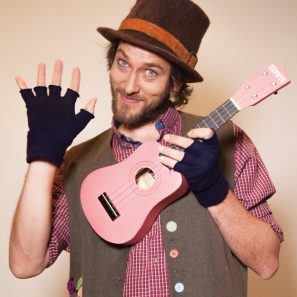 Woody is a Victorian based musician, performer and teacher working in the children’s genre. Woody has taught in the classroom, in music teaching and in the outdoor setting for more than 15 years. Woody has coordinated various musical projects with his students, the most notable being the reKINDle Project which was a collaboration with fire effected schools and communities following the Black Saturday Fires in 2009. This project received $33,000 in funding, involved 400 students and collaborations with prominent musicians including Kutcha Edwards. Since 2014 Woody has focused his creative efforts into developing Woody’s World and produced his debut children’s album Good Morning Kids and live DVD. Woody’s World live shows have been presented at major festivals and venues including, l, Adelaide Fringe Festival, Adelaide Festival Centre, Melbourne Cabaret Festival, Port Fairy Folk Festival, Melbourne Recital Centre, National Folk Festival, Cygnet Folk Festival and Wonderland Spiegeltent. Currently Woody presents Woody’s World, Woody’s Ukulele School and is developing Ukulele Kids for touring in 2019.